Disclosure: This post is sponsored post with Pillsbury. All opinions are always my own. There is nothing better than a warm, tender biscuit straight outta the oven. Mmmmm. Slather some butter and honey on it and that is my idea of heaven right there. 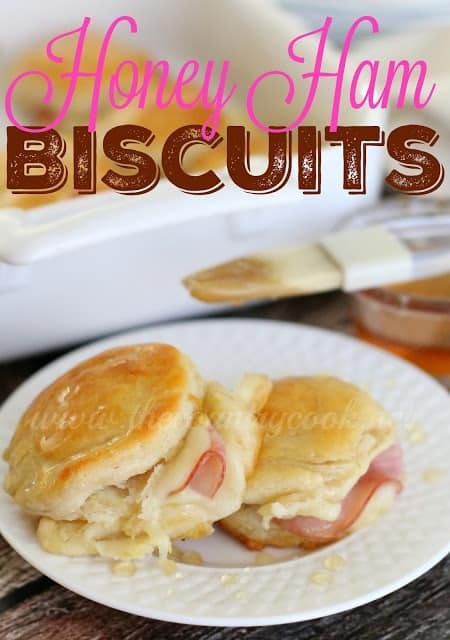 Now take that same biscuit and throw in some honey ham (or country ham) and melty cheese and it takes it to a whole other level! Breakfast biscuits are a regular around my house. 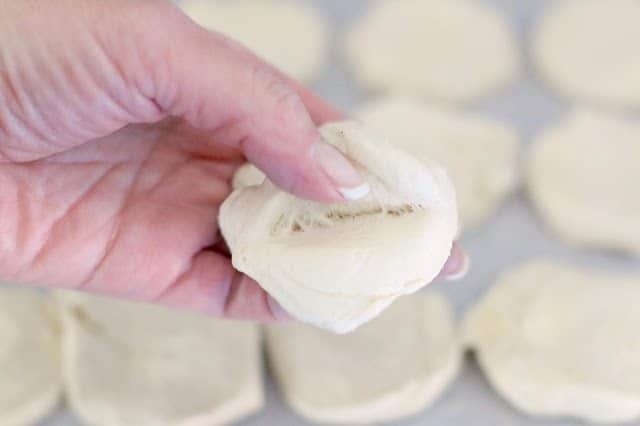 And they are made so simple by using a tube of Pillsbury refrigerated biscuits. 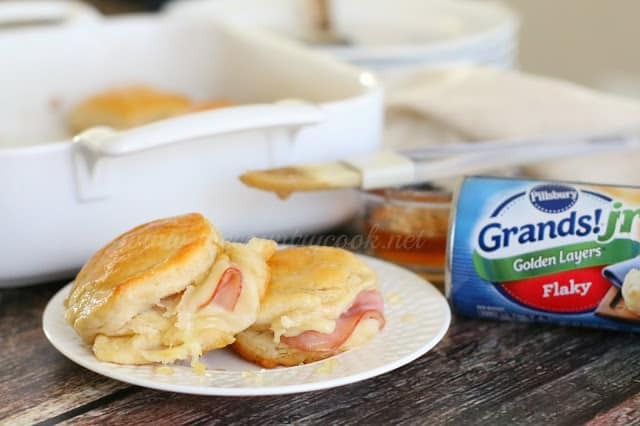 My son loves these biscuits stuffed with scrambled eggs and cheese. 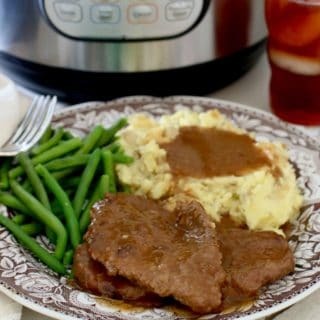 I like to make biscuits and then add some cooked sausage patties to them. A perfect way to start the day. Nothing like a warm biscuit on a cold morning. 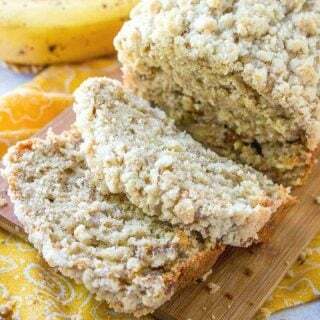 I can send everyone off for the day and know they are getting a warm, filling and yummy breakfast and it is so simple to make. 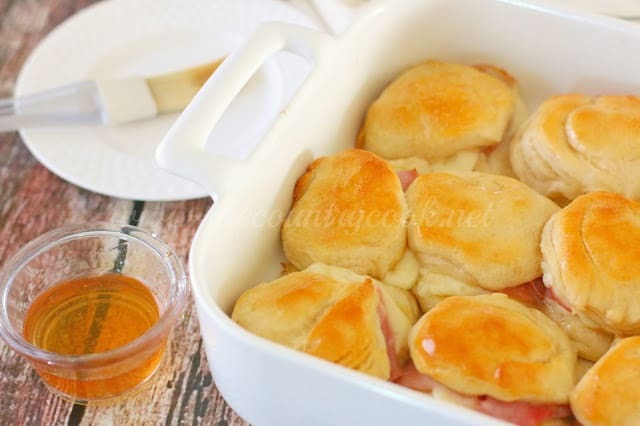 These Honey Ham Biscuits are perfect if you have any leftover ham too. 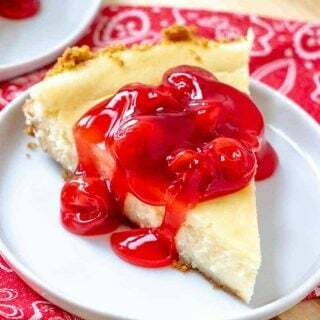 Warm, buttery and sweet with yummy, gooey cheese. Preheat oven to 400f degrees. Spray a 9-inch baking dish with nonstick cooking spray. Separate each biscuit into two layers. They should separate easily. If not, just take a knife and make a small cut into the side of the biscuit and then pull to separate. You will have 20 biscuit slices after you’re done. Don’t worry if it’s not neat. 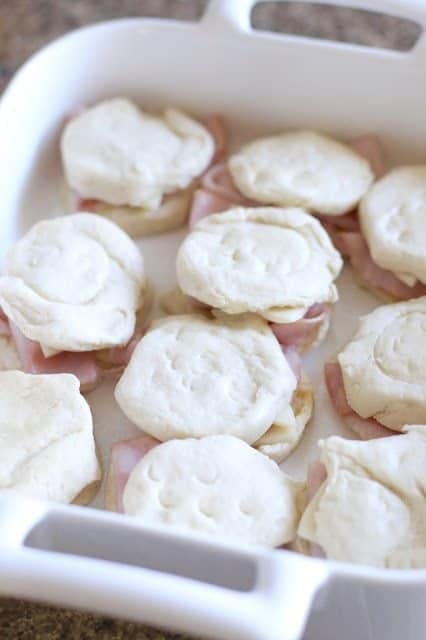 These biscuits will puff up beautifully when they cook! 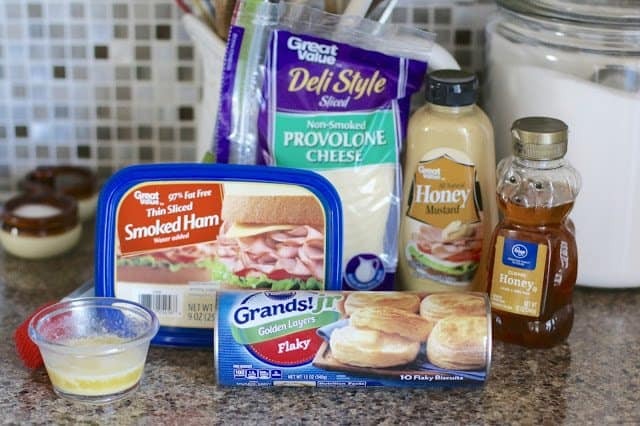 Spread honey mustard dressing on all the biscuit slices. 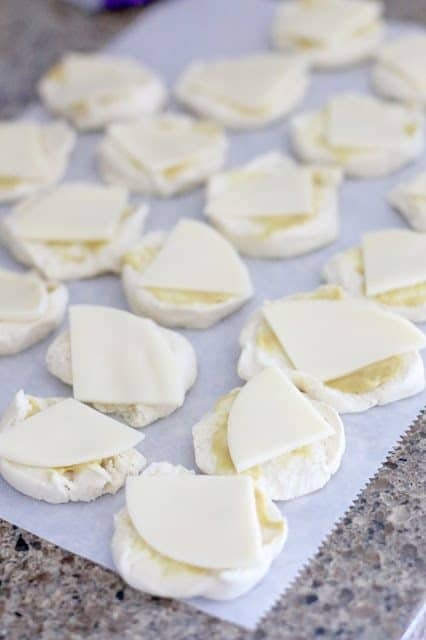 Place slices of provolone cheese on all the biscuit slices. 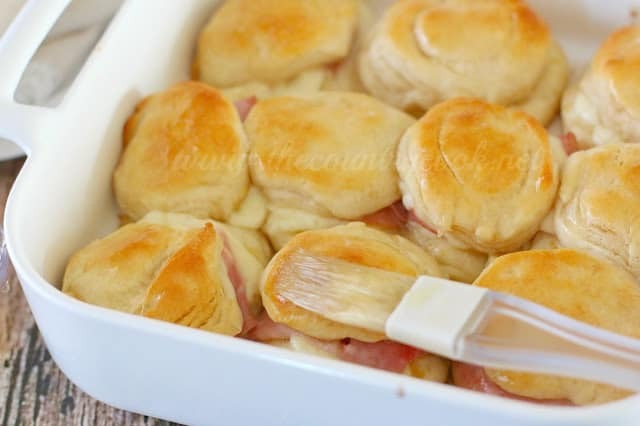 Then, place 10 of the biscuit slices into your prepared baking dish and add a slice of ham onto each one. 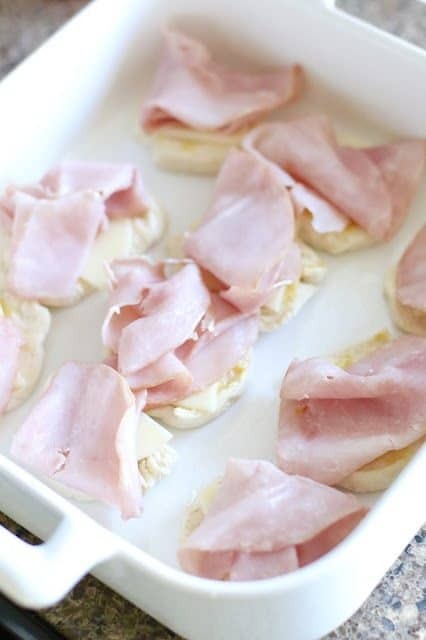 Top ham with remaining biscuit slices, cheese side down. 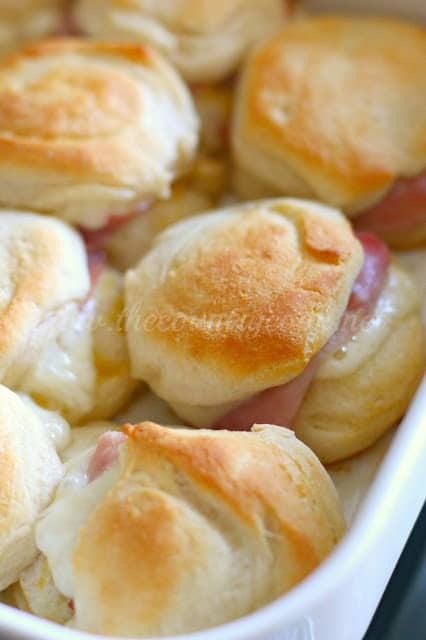 Bake biscuits for about 15 minutes, until the tops are golden brown and cheese is melted. Heat honey in a microwave safe bowl for about 20 seconds. 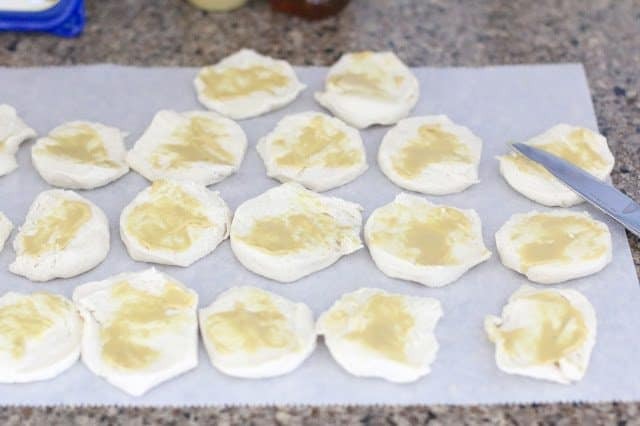 Brush the tops of the golden biscuits with the warm honey. Spray a 9-inch baking dish with nonstick cooking spray. 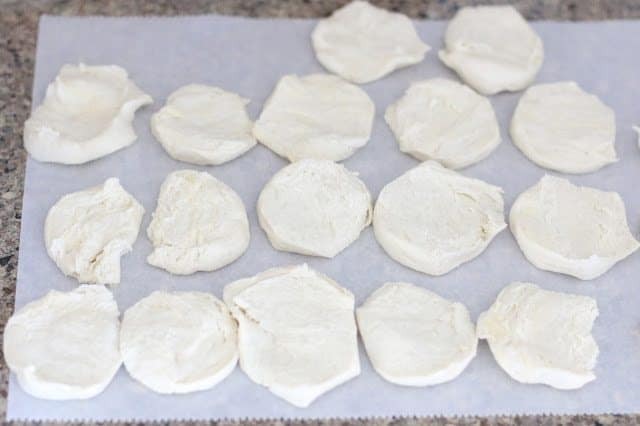 Separate each biscuit into two layers. They should separate easily. If not, just take a knife and make a small cut into the side of the biscuit and then pull to separate. You will have 20 biscuit slices after you're done. Spread honey mustard on all the biscuit slices. These are such a fabulous idea! 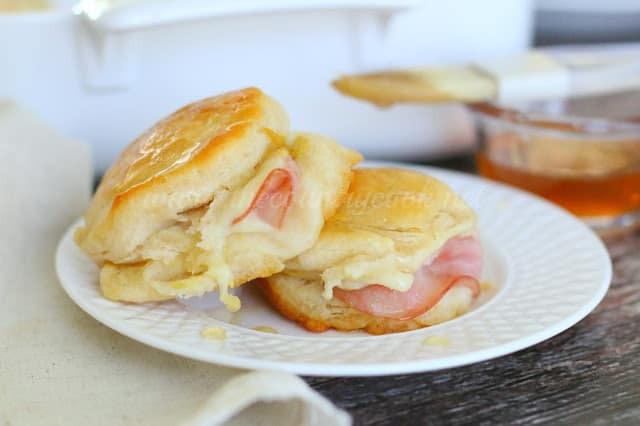 Honestly, is there anything better than a warm biscuit with melty cheese and ham? Seriously! I can't wait to try, these look so yummy. 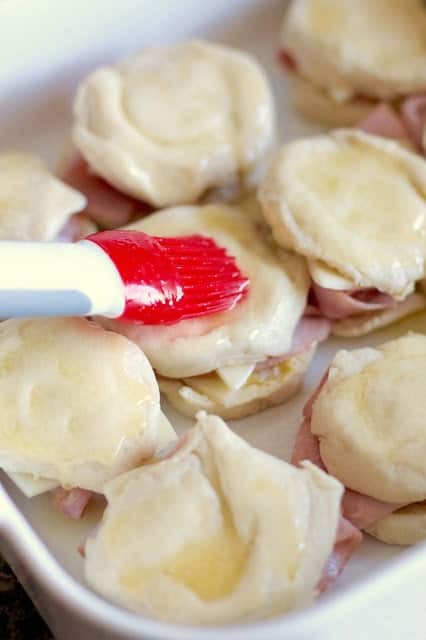 Made these last week with potato soup and used Gouda instead of provolone because that's what I had. 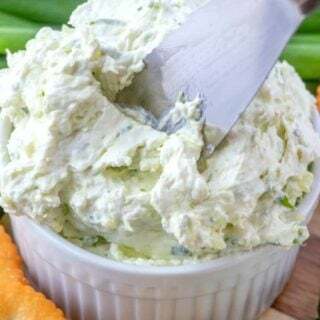 Quick and soooo delicious. 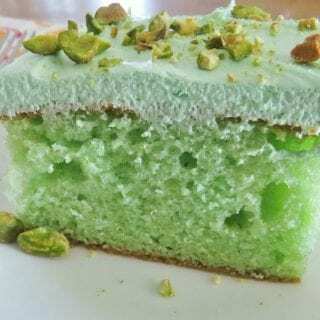 Definitely making them again! Do these reheat well? Or can you freeze then reheat? 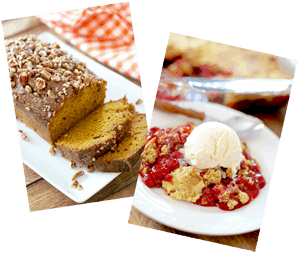 I was looking online for some recipes that use honey as I recently took up beekeeping. Thanks for the post and I hope to try these after actually my first real honey harvest probably this August. 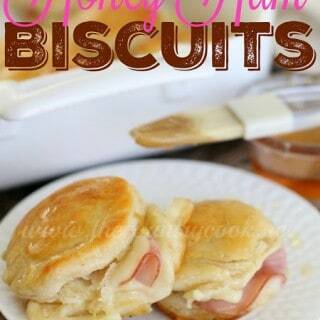 Definitely want to try these and they would be great for a breakfast too. How cool is that? Beekeeping sounds so fascinating!! 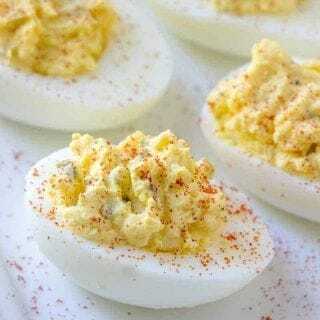 These are so good, I sure do hope your adventures are super fun and you get to try these soon! Always a winner.